of the Shawville Equity. 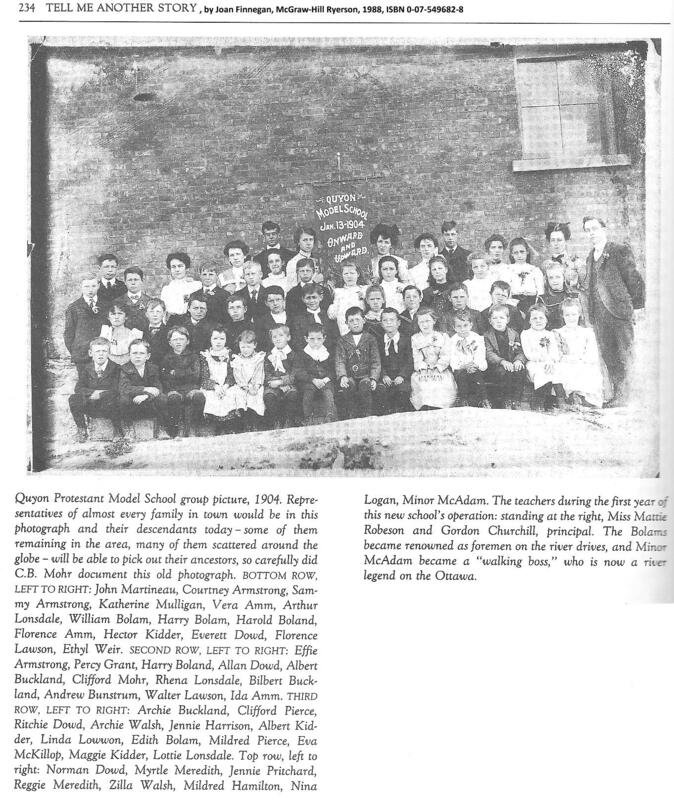 Names listed on this page, below, dated February 3, 2012. 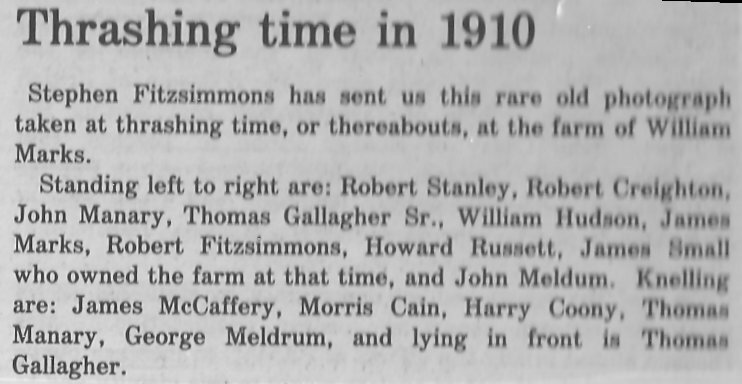 It lists folks who were born before 1800 and who were living in Pontiac County in 1851.
country of birth (Ireland, Scotland, England, U.S.A. or Canada). Here is an interesting web site for searching for resources in the Pontiac at the BANQ Archives. Transcribed from the map above. No longer exists but thrived when work on the Chats Canal was at its height. 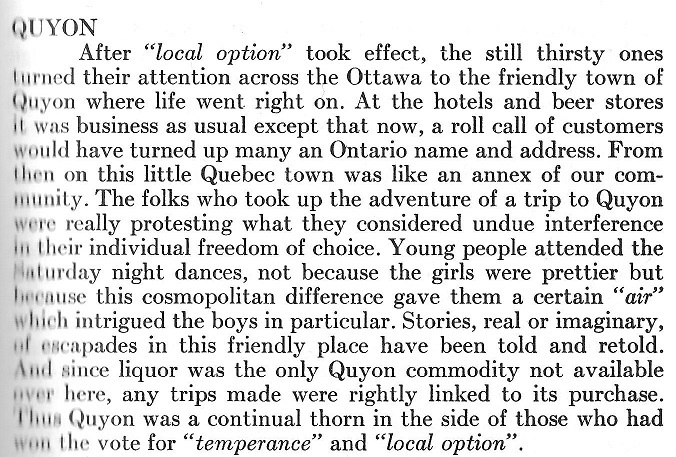 Carol Bennett's book The Lanark Society Settlers, page 160. 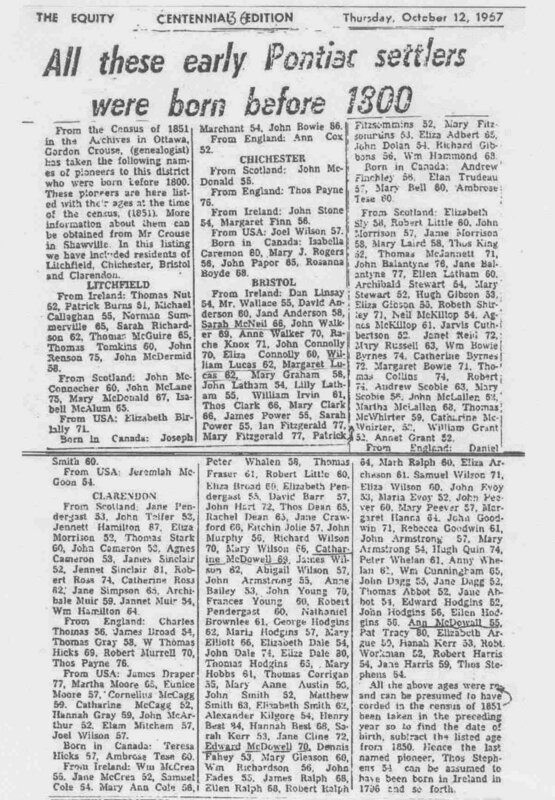 Helen (Nellie) Balfour BURNS from Osgoode Township. 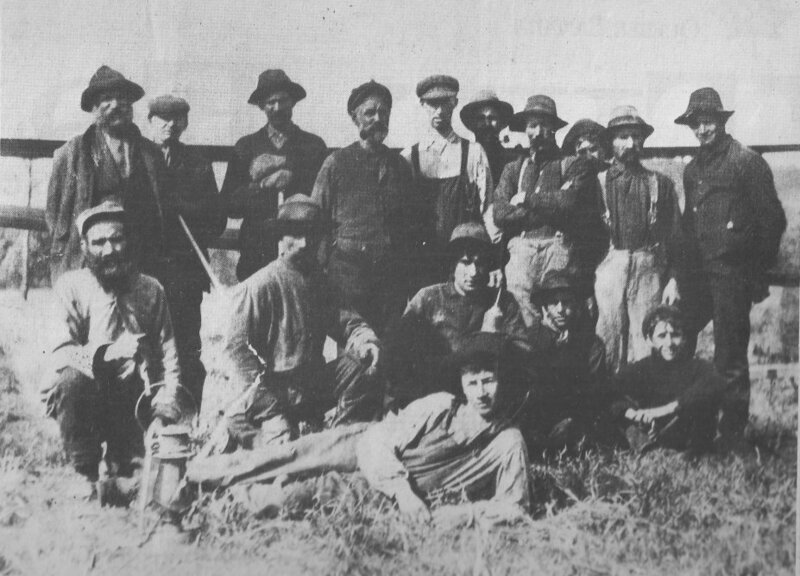 Some members of the Bryson family also were located at Fort Coulonge, also in Pontiac County. 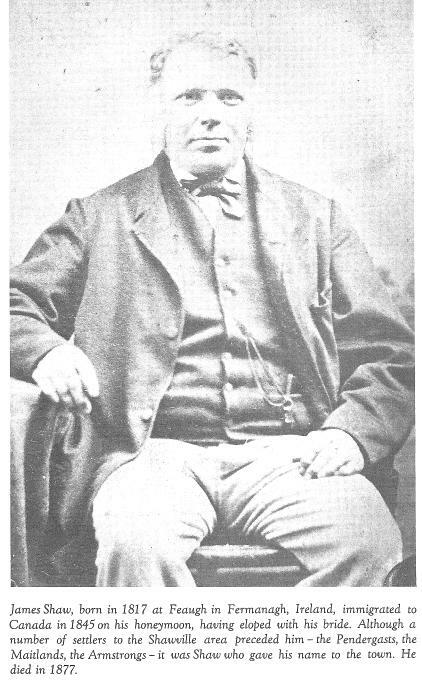 born in Ireland in 1796 and so forth. George Meldrum and Thomas Gallagher. Thanks to Mr. Roger Cole who has sent along a very detailed history of the Cole family who were pioneers in Pontiac County in the 1820's. 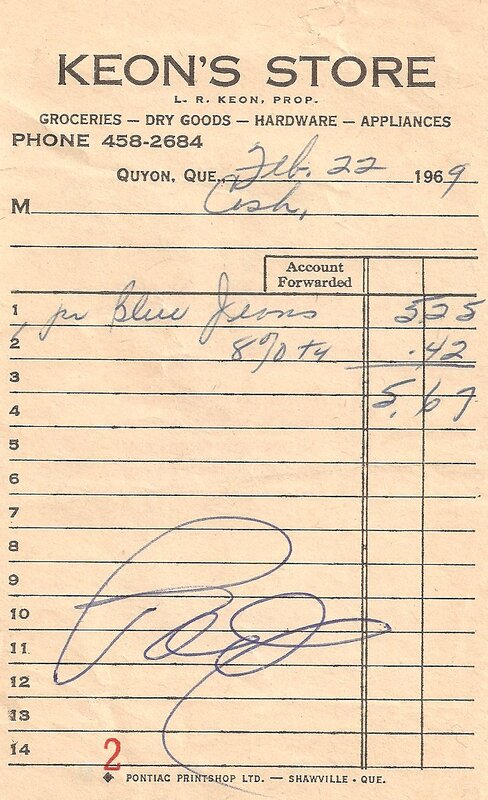 Here is a receipt from the store in Quyon owned by Mr. L. R. Keon in 1969.
one of their star players. Dr. Wilbert Keon (now Senator Wilbert Keon), was a world-renowned heart surgeon at the Ottawa Heart Institute. Ottawa and a Canadian Senator. McLean and McColgan. Prior to 1916 the ferry was horse driven. 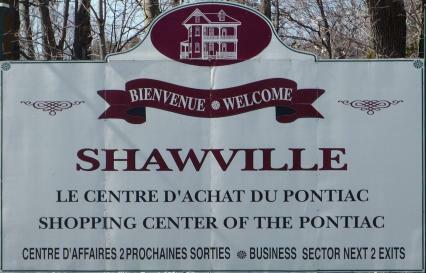 Origin of the name "Shawville"
Robert MANWELL and Margaret SCOTT, came from Scotland to Pontiac County, Quebec in the 1850's. 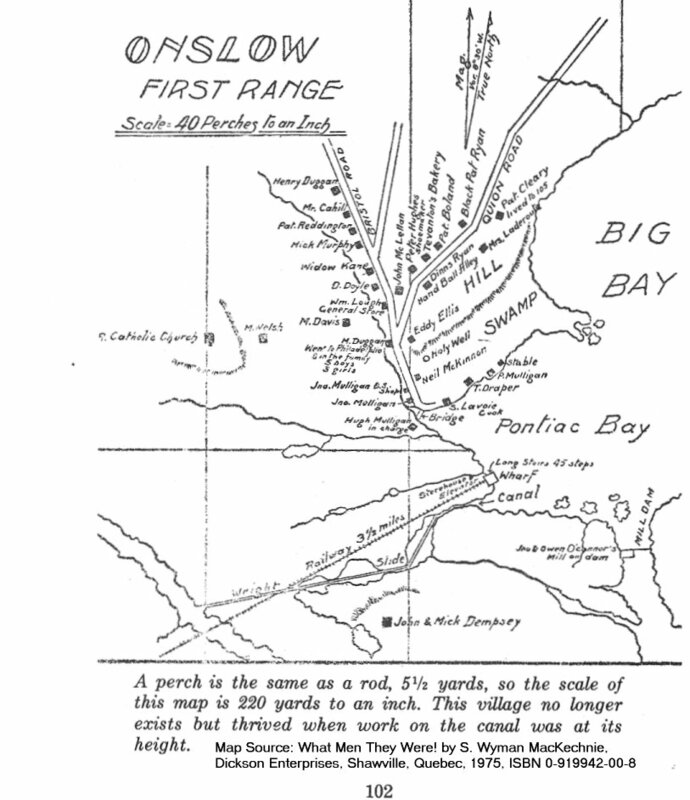 Wally Schaber is researching the early history of the Dumoine River Valley. The Dumoine River forms the western boundary of Pontiac County. Zilla Walsh, Mildred Hamilton, Nina Logan, Minor McAdam. Glad to hear from you, Al, and happy to share. is 640 some pages in two volumes. The books can be picked up here in Orleans, Ontario or from my sister in Fort-Coulonge. I can also ship the books through Canada Post at an additional $10 to $18, depending on where people live. information, I would be happy to look up their info & email it to them. Yes, by all means add my email to your site. 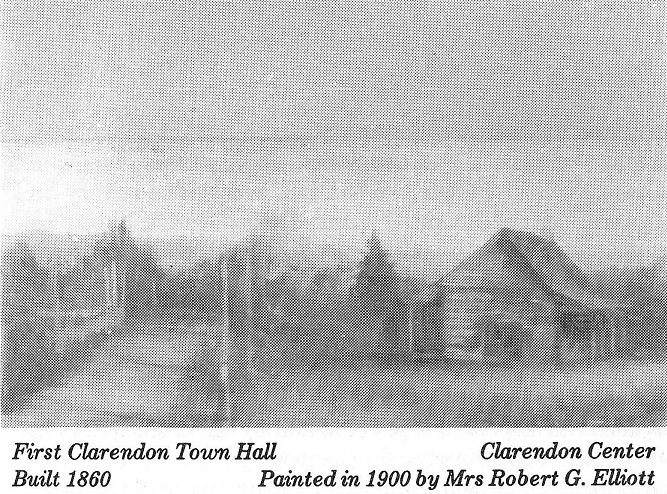 Canada such as Donald Akenson and Cecil Houston. Some of their books are listed in our bibliography. 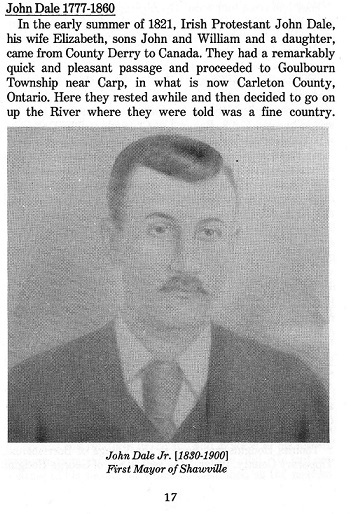 Gord MacKay is researching the family of William WILSON and his son James in Clarendon Township. 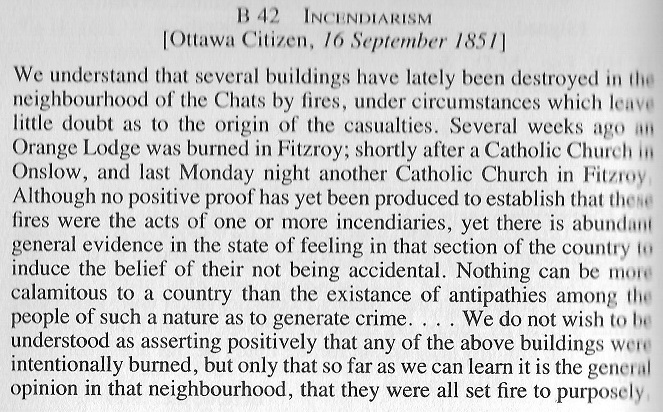 to the Ottawa Valley in 1845.